Sometimes there are people in your life that become soul mates--the kind you only have to talk to for a minute for both of you to know that you were born to be friends; the kind that make you a better version of yourself every time you talk; the kind when the hardest you laugh together is when no words needed to be exchanged at all. It doesn't really matter how long it's been between visits because you pick up right where you left off whether it was a couple hours or a couple years. And sometimes those friends surprise you with a week-long early-birthday-present visit. And when they do, it's magical. J was a little disappointed when she came off the plane and she wasn't "Daniel Tiger" (a cartoon character he loves and thought was coming--"Danelle" vs "Daniel" easy to confuse). But it didn't take him very long to figure out Danelle was way, way better; even if he did call her "Daniel" the entire time. 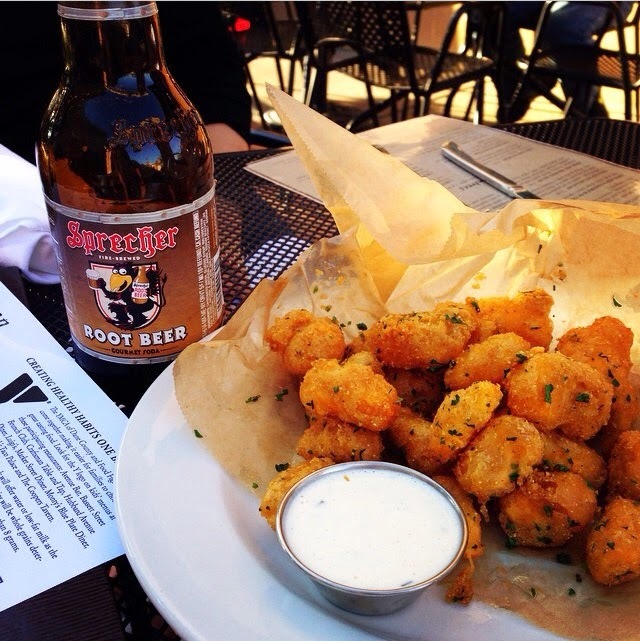 We, of course, washed down fried cheese curds with Sprecher's rootbeer. We spent an afternoon at Lake Mendota, kicking back in Adirondack chairs while Jon played in the sand and threw rocks into the water. 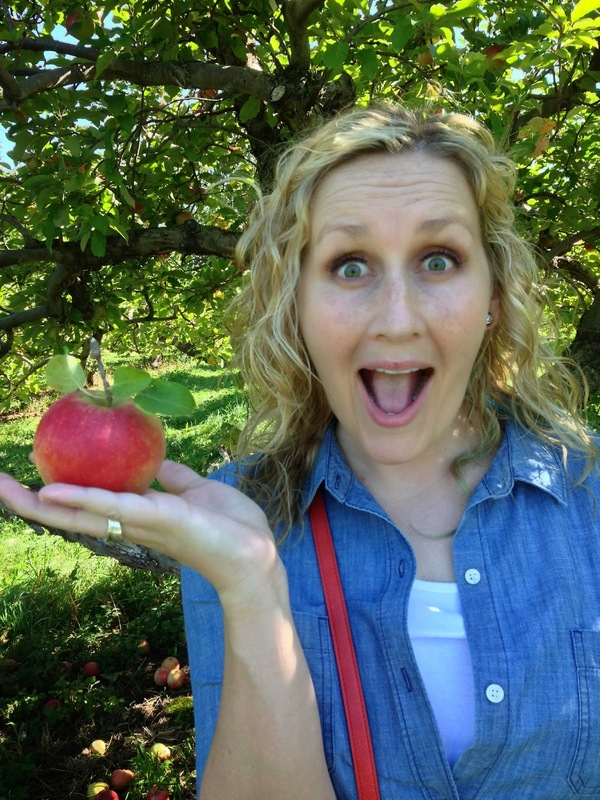 And when we realized we'd pick WAY more than we could ever eat, we baked delicious apple-y things all day. We stayed up late solving the world's problems and laughing at our own problems, and scheming elaborate plans for realizing our dream of being next-door neighbors someday. 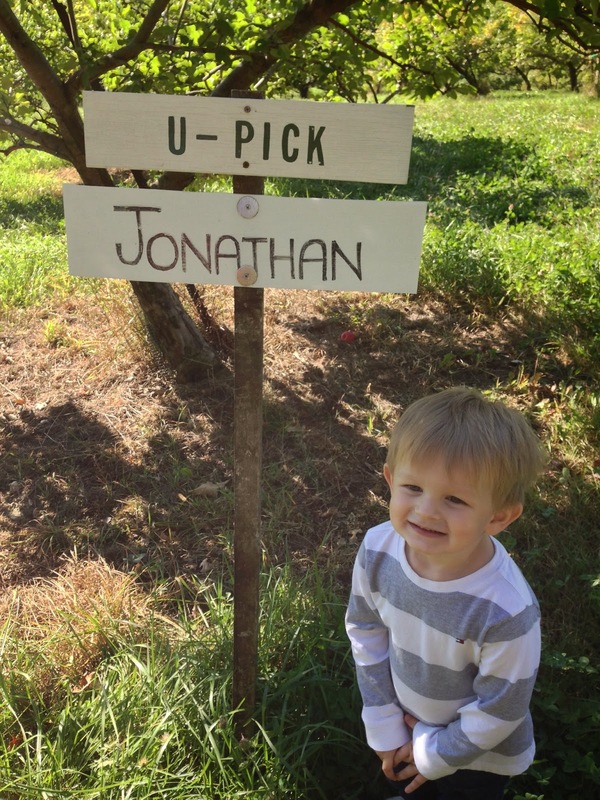 We cheered for Jonathan as he tackled his self-made "inja popsicle courses" (translation: ninja obstacle course). We snuggled Ben and diagnosed his reflux. And then we cried at the Madison Regional Airport when we had to say goodbye. 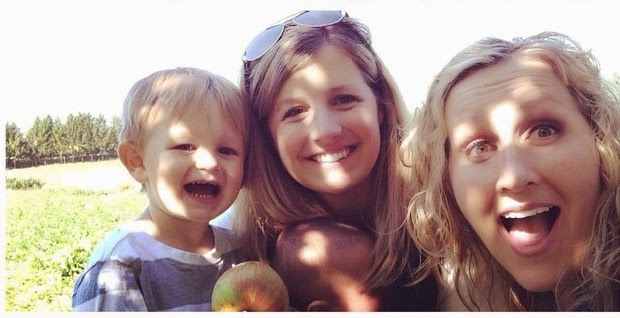 But amidst all the fun, best part for me might have been sharing people I love with each other. It was so fun to watch Jon embrace and love Danelle and realize she is one of the funnest people alive today, and it was just as sweet to see her fall in love with the boys as Jon crawled up onto her bed or tried to share his food with her and Ben fell asleep in her arms. It was a perfect week--but man, I already miss that girl.